Oh, hashtags. Love to hate ‘em, hate to love ‘em. They’re elusive little creatures requiring special treatment wherever they go. But let’s start with the basics. What is a hashtag? 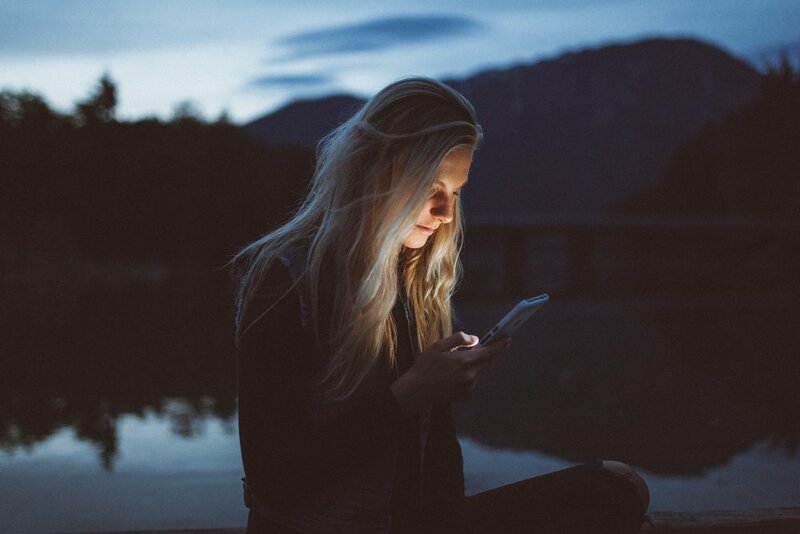 If you’ve ever experienced life without social media, you may know it as a pound sign with words, letters, numbers, or emojis behind it… and it’s somehow always blue…. What you’re seeing is actually a search tool used on social media. Simply put, when you click on the word/phrase/blue thing, you see all other posts related to it. So if you’re on Instagram and want to see pictures of dogs, click on or search for #Dogs. Keep in mind, something that broad will give you more results than you have time to scroll through while you’re waiting for coffee. The more specific the hashtag, the fewer results there will be, presumably. Alright, let’s get down to the brand side of things. For brands, there are three primary reasons to use a hashtag: branding, discoverability, and tracking. A branded hashtag is one that’s specific to your company. It could include the name of your brand, a certain campaign, a specific product, your brand slogan, etc, etc. Since these kinds of hashtags connect a user directly to your brand, these guys are great—particularly for events, campaigns, and building customer loyalty. Have you ever seen a brand ask you to use a certain hashtag? (Ie: “Post a pic with #MermaidMeatMarket with your favorite recipe!”) That was more than likely a branded hashtag. By asking users to include your hashtag in their own posts, you’re ultimately getting free advertising—and that’s what dreams are made of. Generally speaking, discoverability hashtags are a little harder for brands to use and understand. Most of us advertisers just want to scream our brand name and slogan from the rooftops. But discoverability hashtags do quite the opposite. Let us explain. Discoverability hashtags may not actually name your brand, but they’re still relevant—or they should be… don’t get us started on irrelevant hashtags. Let’s start with an example. If you’re a dog food brand, you want to connect with dog owners. Hopefully you already know that part. So using #DogLovers in your social media content will immediately connect you to users who are talking about or searching for #DogLovers. That’s a lot of dog owners who now, at the very least, have heard of your brand. So there’s marketing step one: brand recognition. You may also hear them referred to as community hashtags. Why? Because they help you connect with your community around shared interested by taking part in conversations that matter to them. It builds relationships and encourages another step in the marketing funnel: brand loyalty. Not convinced yet? Try this on for size: studies show when users search for a certain hashtag, they’re also more likely to engage with your content. After all, they were actively looking for it, right? And when they engage with it, guess what—their friends are more likely to see your content too. Oh the powers of social media. This benefit is a little more behind the scenes. Your audience won’t even know about it. You don’t even have to do it. But you should. Tracking your hashtags means you can learn from your hashtags. If you’re tracking a a branded hashtag, you can measure brand sentiment and campaign performance. When tracking discoverability hashtags, on the other hand, you can see which hashtags are increasing brand recognition, community engagement, etc. Always try to learn from your hashtags (or any of your marketing methods for that matter). If you don’t you’ll never know what’s helping or hurting your brand. And that’s how you build a strategy. And we like strategy. But how do you pick the right hashtag? Kind of a loaded question. It depends on the social platform you’re using to a certain extent. We’ll get into that. But for now, we’ll start with some rules of thumb that apply to almost every platform. If you’re working on a branded hashtag, you’ll probably have to come up with it yourself. Keep it short, easy to remember and make sure you’re using capital letters to separate words (#DogsLoveDanimal vs #dogslovedanimal) so it’s easy to read and understand. But don’t stop there. Make sure, even when it’s all lowercase, that your hashtag isn’t spelling something you don’t want it to. People love to jump on these and make fun of you. It hurts. But that’s life. And lastly, make sure it’s unique. If Danimal is also the name of a band (it is), you want to make sure they’re not also using #DogsLoveDanimal before you revolve your whole campaign around it. So when you think of something you like, do a quick search. It’ll take you 5 minutes and could save you a whole lot of hassle. Since they’re not specific to your brand, picking discoverability hashtags is a little different. Take a look at what competitors and influencers in your industry are using. It’s all about getting eyes on your content, so if it’s working for them, it may work for you too. Notice we said may. Track it and find out. Maybe even try starting with a trending hashtag—a relevant trending hashtag. Yeah, you’ll hear that word a lot. Holidays are a great place to start. #LoveYourDogDay… that’s relevant to your dog food brand. Use it. #MemorialDay? Hey, if you can tie it in, go for it. #NationalHamsterDay? You should probably let that one go. It’s what we call irrelevant. Starting to make sense? WARNING: Brands have gotten in some deep sh*t, aka lawsuits, for using hashtags they didn’t research first. Just because something’s trending doesn’t mean you should try to use it. Click on it, see what other content is being posted. Is it inappropriate? Making a political statement? Culturally sensitive? Please, please, PLEASE do your research. If you use the words “me too” in a sentence, it’s totally different than using #MeToo. Don’t make this mistake. Okay thanks for sticking with us. You’ve got the basics. Now let’s get to the nitty gritty—the usage differences across platforms. Why isn’t it the same for all of them? Because life just isn’t easy. And every platform has its own demographic and nuances. So here we go! Instagram and hashtags go together like milk and cookies. Peanut butter and jelly. Frosties and fries (is it lunchtime, yet?). If you can dream it, you can use it—up to 30 (or 10 on an Instagram Story). Each one can help increase the discoverability of your post. And with around 70% of Instagram content going unseen, that’s kind of a big deal. In fact, posts with just 1 hashtag tend to get 12% more engagement. But don’t go crazy. The sweet spot for Instagram is between 8 and 12 hashtags per post. Write that down. Now that doesn’t mean you should go slapping 8 to 12 hashtags on posts all willy-nilly. If you use the same long list of hashtags on everything you post, Instagram may treat you as spam because let’s be honest, not every hashtag will go with everything you post (unless you’re posting the same thing over and over; and if that’s the case, please email us and we will discuss). You have to keep them relevant—yep, there’s that word again. It’s all about giving value to your audience, not just getting likes and follows. For example, if Angela at Angela’s Acorns posts an image of her new acorn spoon, don’t use #DogsOfInstagram. Sure it’s a popular hashtag, but if someone’s looking for dogs they’re probably not thinking about acorn spoons. Even worse? Using #FollowMeBack. That hashtag, and similar ones, are also popular but they tends to attract spammers and bots, not people that will engage with your content—much less buy a new acorn spoon. And it just makes you look desperate. Sorry, but it’s true. 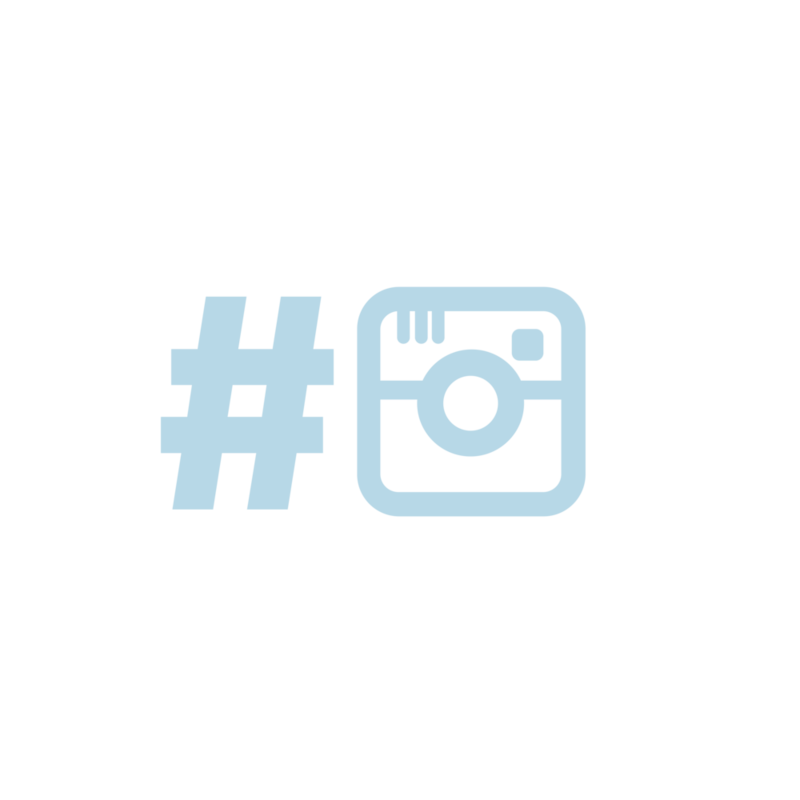 Branded hashtags on Instagram are our favorite. Many brands use them to get their audience involved with user-generated content. What’s that? Let’s go back to our Angela’s Acorns example. Say Angela posts an image of a beautiful acorn feast accompanied by the newest in acorn spoon technology. In the caption: “How much are you loving your acorn spoon? We want to see! Post a pic and use #AngelasAcornLovers.” By creating a hashtag for a specific purpose about your specific brand means when users post with your hashtag, you’re more or less getting free (and trackable!) advertising. Using hashtags when partnering with influencers (big and small) is also a huge marketing tool on Instagram. Andy from Arkansas knows everything there is to know about Acorns. He loves them. Lives for them. Posts about them every day. If you know anything about acorns, you know about Andy. And he’s the perfect partner for Angela’s Acorns. So Angela’s marketing team calls Andy, asks him to post a picture of that new acorn spoon using #AngelasAcornsForever, then boom—other people start using it and clicking on it. Then suddenly a whole lot of acorn lovers know about Angela’s Acorns. Mic drop. Now say Angela got a lot of online purchases from that partnership with Andy. But what if she wants more shoppers at her physical store in central Massachusetts (we’re partial to the area)? This is when specific geographic discoverability hashtags will work perfectly—#CentralMass #ShirleyMA #ShopLocalMA #MassachusetsAcorns. When she uses these hashtags, those searching for any of the above will see her post. We can’t guarantee those people are in the market for an acorn spoon, but now they know about the shop, can come check it out, spread the word to their acorn-loving friends, etc, etc. Surprisingly, #CentralMass is a frequently used hashtag on Instagram. For Angela, that’s both good and bad. It shows people are both using and likely searching that hashtag—which is good because she’s more likely to be discovered. But on the other hand, it means she’s competing with thousands of other posts. So how do we fix that? With good eye-catching content. Do a search of the hashtag and see what the results are. Now find a way to be different. It could be using bright colors, dark colors, panoramic photos, video only, the possibilities are unlimited. There’s just one rule—never skimp on production by posting up mediocre content. Quality content is always the most eye-catching. And eye-catching content is king in this world of mobile scrolling—especially on such a visually focused platform as Instagram. Don’t use spammy hashtags like #FollowMeBack or #Retweet. Try partnering with influencers to gain visibility for your brand and hashtag. Research hashtags before posting them and use them intentionally. Find a way to make your content stand out. Good start. Now onto the differences. If you know anything about Twitter, you know you have a character limit for each tweet. The lovely people at Twitter recently decided to change that from 140 to 280 characters. Regardless, the space is still limited and you want to use it wisely. That means making room for messaging, mentions and or links in your tweets. Simply put, there’s just not enough space for a list of hashtags. The sweet spot is one or two per tweet. We know it’s tough, but please try to restrain yourself. Do: When only #PalatialPasta will do, it’s time to try Pasta Palace. And that doesn’t mean Paul should try to incorporate #PalatialPasta into every tweet. Remember, it should be inclusive, shareable, and or discoverable. Restraint, people. Restraint. If all of those things apply, people may pick up your hashtag and start using it in their own tweets. But don’t expect it. Typically Twitter users want a reason or incentive to use your hashtag. Maybe using #PalatialPasta enters them to win unlimited pasta for a year. Or maybe it’s just a promise of a re-tweet. People like their 5 seconds of “fame” even if you’re not a fortune 500 brand. But does your hashtag need to be branded or promotional? Nope! As long as it’s relevant. On Twitter more so than any other platform, hashtags that allow you to jump into a conversation are extremely useful. Twitter is like a cocktail party—different groups of people are talking about different things. Find what your audience is talking about (aka which hashtags they’re using) and jump in on the conversation in a relevant way. Zucks and his team just decided to add hashtags to Facebook in 2013, so they’re the new guy on the hashtag block. Is that why it’s so complicated? It may have something to do with it—people just aren’t as used to it. But possibly a bigger reason: there is no real answer as to whether or not hashtags actually affect engagement on Facebook. Not to mention, when it comes to hashtags, Facebook hasn’t updated their best practices since 2016…. With all of that said, experts argue over hashtag’s place on the platform. Some are telling us, “Include hashtags everywhere.” Others are saying, “Hey, why not?” And plenty argue, “Save it for Instagram and Twitter.” So what is a marketer to do? Well, all we can do is give you an opinion. And that is to tread lightly. Let’s just hit the pros and cons. Social listening (a form of tracking) is no joke. We don’t care who you are, you want to know what your audience is saying about your brand. It helps you keep doing the things you do best, and work on the things people aren’t happy about. It’s just good business. And it’s one of the main purposes of hashtags. Yes, it’s a little easier to track on Instagram and Twitter, but it’s smart to track sentiment on any platform—including Facebook. Discoverability wise, it can’t hurt, particularly if you have a social-savvy audience. These days there’s so much content out there, your chances of being seen are pretty low anyway—it’s okay, don’t cry, we love you. But using a hashtag can help you out. You never know when someone will be searching for #NationalCoffeeDay, so don’t waste an opportunity, albeit a small one, to interact with the coffee-loving community—if you’re in the coffee business. Campaign wise, if you’re using a branded hashtag on other platforms, it could be wise to use it on Facebook as well. It helps tie your campaign together. Just remember, the best way to do this is to “bury” your hashtag into a sentence. Tacking it onto the back typically garners less engagement and lower shareability. Despite how many actual essays you see brands posting, the ideal character limit on Facebook is 40-80 characters. “Ideal” as in those are the posts that get the highest reach and engagement. So your space, just like on Twitter, is limited. Really REALLY limited. Should you use that space with hashtags or actual messaging? Ultimately it’s up to you, but our pick is messaging. In our book, it’s more important for your followers and fans to know what you’re talking about than just hoping someone discovers you through a hashtag. Remember in the “pro” section how we said it’s good to use branded hashtags on Facebook? We meant it. But if you’re encouraging your audience to use a branded hashtag, their settings matter. Molly may love #PastaPalace, but if her settings are private, no matter how many times she uses the hashtag, it won’t show up in search. And truth be told, a LOT of users keep their personal profiles private these days. A counterargument? It could still spread brand awareness among her friends. Hopefully she’s popular. Now this one could be a pro or a con really. The way the Facebook search tool works, users can actually sort the results. So say Molly is at it again, but this time she’s looking for recommendations on pasta forks—she’s been eating Paul’s pasta with a spoon and it’s just not going well. She goes to the search bar and types in #PastaFork. Now she can filter results so she only sees posts from friends, posts in a certain geographic area, posts from a certain time frame, etc, etc. You can’t do that on Instagram and Twitter, so it’s kind of cool. BUT that means your content can be filtered out of the search—quickly and easily. There goes your discoverability. If all that went a little over your head, just remember this. Hashtags on Facebook aren’t as effective as they are on Instagram and Twitter. They’re just not. Even experts that study this stuff for a living can’t agree on whether or not it’s helping or hurting post engagement. Will it hurt you? Probably not. Will it help you? It might. Just try it out and see what works for your brand. If you’re a TLDR kind of person and decided to scroll all the way down here just to get the gist of the article, shame on you. But we get it. So here’s the point, the main take away, the big kahuna of hashtag lessons: TEST AND LEARN. No matter which platform you’re on, remember you’re special! Your particular brand and audience should affect your strategy. Sure, there are best practices, helpful tips, dos and don’ts, but ultimately the proper usage of hashtags is unique to every brand. So experiment with a combination of popular and niche hashtags. Try posts with and without hashtags. Test using emoji hashtags. See what happens when you make up your own hashtag. As long as you’re tracking it, you’re learning from it. Eventually you’ll find what works for your brand and see the wonders of hashtags for yourself. Grey Robinson is the Senior Copywriter at James & Matthew. As a past and present Tennessean, she’s our token southerner who’s actively afraid of northeastern winters. When she’s not pumping our words, you can usually find her hiking with her sloth-like dog, Kangaroo.